If you are thinking about having an abortion, it is important to remember that abortion is a medical procedure. 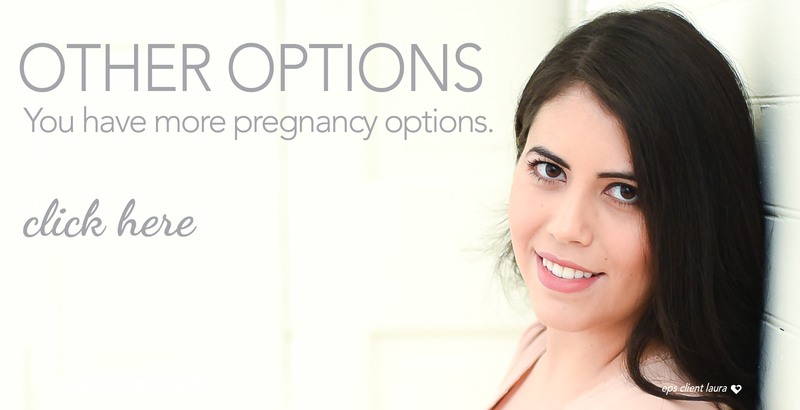 We can help you understand your choices and your pregnancy, discuss your health, and empower you to make an informed choice, because it is your decision. What type of an abortion will you have? What are the risks? How far along are you? Is my pregnancy even viable? You should have answers to these questions before you consider an abortion. Know the facts. You owe it to yourself to make an informed decision. Perhaps you’re thinking… I’m not ready to be pregnant. I can’t tell anyone I’m pregnant. The father is insisting on an abortion. First, take a deep breath. There are many things to consider. Thankfully, we’re here to help you through your concerns and questions. Questions like, are you really pregnant? How far along are you? Do you have a tubal pregnancy requiring immediate medical attention? If you’re thinking about abortion, what kinds of abortion procedures may be offered to you? EPS does not provide or refer for abortion procedures. We provide important information on abortion so you can be empowered to make an informed, educated decision. Contact EPS now to schedule your free appointment or to ask questions. My visit to EPS was everything I needed. I expected just a pregnancy test and ultrasound, but I’m glad someone could talk to me about how I was feeling and my thoughts on the pregnancy.